Can a new OS compete with the big guns? 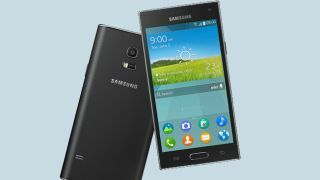 Samsung could be set to unleash a sub-$100 smartphone toting its Tizen operating system on India, with the Z1 likely to make its long-awaited appearance. The budget smartphone from Samsung has been garnering headlines since it was announced that the company would be using its own operating system rather than Google's Android. That appeared to backfire on Samsung when it scrapped plans to launch in Russia last year, telling TechRadar that it was holding off until its ecosystem was more developed. In other words, there simply weren't enough apps to make Tizen attractive at the time, but it seems that the huge and fast-growing Indian market has now been selected as the best launch point. Samsung has not announced any plans to launch its budget Z range into its more established markets - including the UK, US and Australia - but the success or failure of Tizen is hugely interesting. With Apple's iOS and Google's Android dominating the smartphone market, another major competitor would provide much-needed alternatives and, we would imagine, keep the market fresh and competitive.